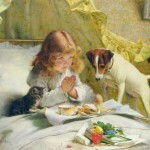 I wish I had the time and ability to share with you all of the world’s great dog paintings. Or, at least the ones in the public domain. 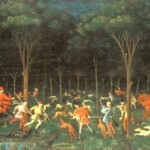 But, as I add more famous artists and their paintings, this group of famous dog paintings will grow too. 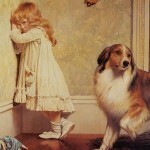 You’ll find great examples of the work of Charles Burton Barber. 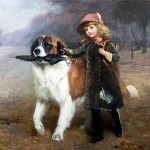 Barber is most fondly remembered for his charming animal portraits and portraits of children with their pets. 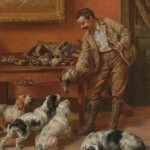 Queen Victoria loved her dogs and many of her countrymen enjoyed the company of canines as well. 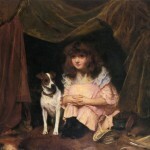 Barber and a number of other artists of that era spent much of their career on painting dog portraits or paintings which featured dogs. 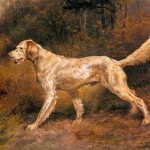 Famous dogs and their portraits by Edmund Henry Osthaus are also part of our growing collection of famous dog paintings. 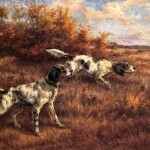 Osthaus helped found The National Field Trial Association and was often commissioned to paint the portraits of the champion bird dogs. We have a few of those wonderful dog portraits here and will hopefully be showing more in the future. 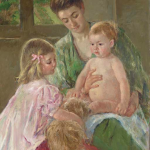 The works of Barber and Osthaus are shown with a number of other dog paintings from the famous artists showcased on The Famous Artists. 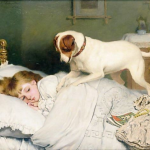 I hope you enjoy these beautiful canines and their human companions.